VirtualHere is introducing a new product called the VirtualHere CloudHub. This is a complete USB sharing solution, including the Optimized VirtualHere USB Server, a Management Interface and an Embedded Operating System all in a single easy to use firmware image that can be flashed to cheap and generally available routers and embedded devices. Download Etcher and install. Then download this zip file and use Etcher to write it to an SD card. Put the sd card into your Raspberry Pi 3 and plug in the power. Now continue at step 3. below. Are you running the stock firmware? GL-MT300N-V2 (Initial Image) - None required, the upgrade image (below) can be flashed immediately. In the Download and Install Package section paste in this link http://www.virtualhere.com/sites/default/files/usbserver/virtualhere-ser... then press OK.
6. 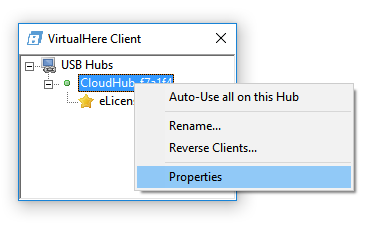 Use the USB device by right clicking the Device and selecting "Use". Now you can wirelessly interact with the USB device just as if it was directly connected! 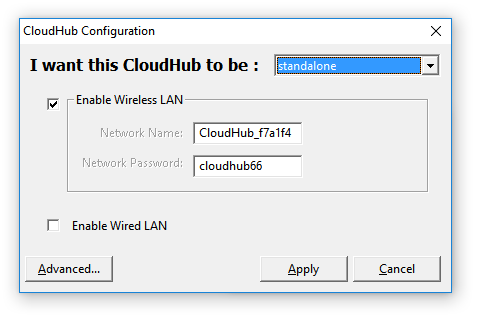 If you want to use the CloudHub as a standalone device, you can use this screen to change the password or wifi name. 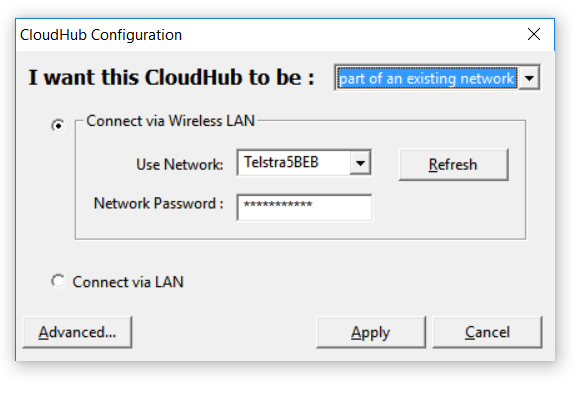 When using the CloudHub outdoors or on location you can set these values to create a local wifi network for users in the vicinity to access and control the attached USB device. You can change the password and reflash updates to the firmware and other features by clicking on "Advanced". 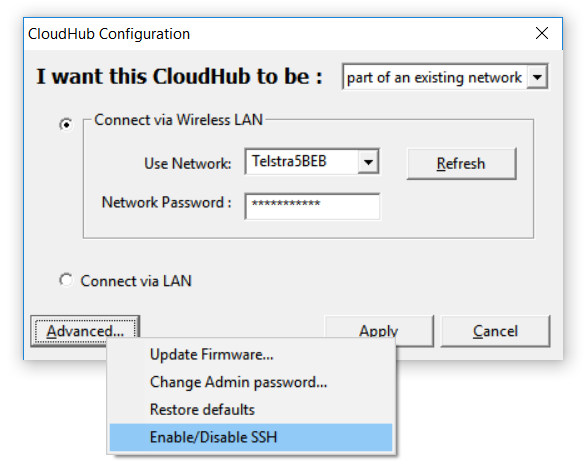 Important: as a security measure, you should turn off SSH access via the "Enable/Disable SSH" button.